The achingly beautiful, Oscar-winning film Moonlight has been at the forefront of everyone’s mind. Undoubtedly, it’s a film worthy of global attention. We are not exaggerating when we say global. The movie, indeed, has reached many corners of the world. Figuratively, if not literally. 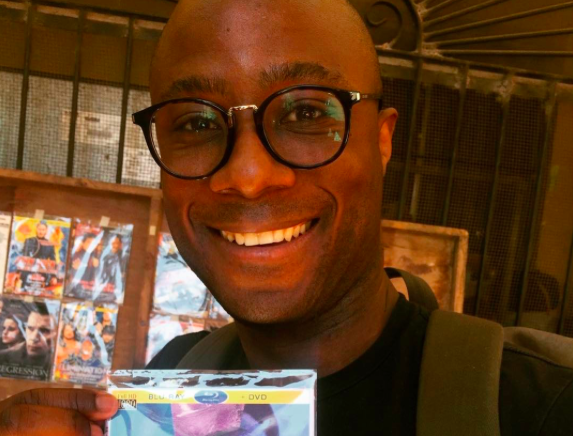 During a relaxing trip to Mexico, Barry Jenkins, director of Moonlight, stumbled upon a bootleg copy of his movie. Jenkins explains that as he was walking the streets of Muna, a small town in Mexico that sits north of the Mayan ruins with a population of 11,000 people, he ran across Moonlight, or Luz de Luna (its Spanish title). Completely honored, and humbled, Jenkins posted a selfie, holding the plastic wrapped bootleg copy. “We stopped for some fruit at an open air market and lo and behold, Luz De Luna. Mama we made it!! !” said Barry Jenkins. In addition to this unexpected find, Jenkins also posted another video from his travels in Mexico as he had some well-deserved relaxation in Merida. Moonlight won Best Picture at the 2017 Oscars, following a whirlwind of milestones throughout awards season. From cinematic significance, to critical acclaim, to its cast landing a Calvin Klein campaign, Moonlight is dominating conversations and spaces. Imitation is a form of flattery, for sure. Bootleg copy or not, we are happy to see larger audiences having access to Moonlight.